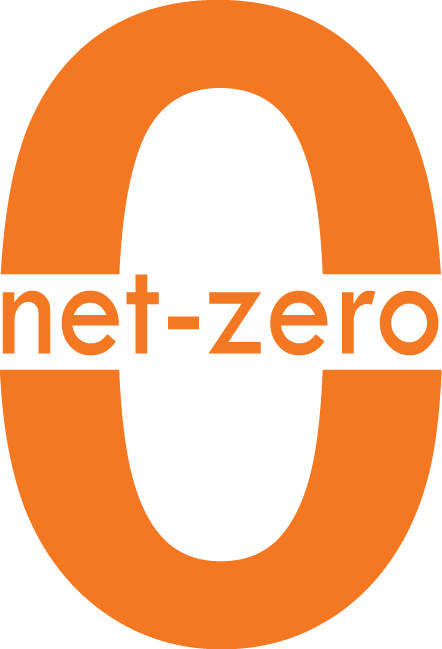 We're helping to make Austin Net-Zero by: recycling Austin's bicycles! Meet the Yellow Bike Project — a non-profit bike shop run entirely by volunteers. Yellow Bike Project was created in 1997 with the aim of empowering Austinites to ride bikes. Back then, the shop was releasing painted yellow bikes in the community that were free for anyone to use. Essentially, this was Austin’s first bike share program. You probably haven’t seen any of these bikes around, because the volunteers are now putting their energy into teaching people how to fix their bikes, giving previously-loved bikes to people in need, and keeping bike parts out of the landfill. (And also because we have bike share in Austin now!) The shop is run as a collective, which means that volunteers govern and manage every aspect of the shop, and all decisions are made by consensus. We spoke with the Yellow Bike Project volunteers about their commitment to Net-Zero, what their toughest challenges have been, and what advice they have for others looking to live Net-Zero. Read more below. Here in the United States, we’ve got a surplus of bicycles and a shortage of bicyclists. There’s nothing sadder than a bike without a rider, so back in 1997, our founding volunteers went to work trying to put more cyclists on Austin’s streets while saving more bikes from the dump, and we’ve been at it ever since. Probably the best way to keep bikes out of the trash is through care and repair, and anyone can come learn how to keep their own bike rolling happily during our open shop hours. Folks can also volunteer and learn repair skills while helping us fix up bikes we give away through other great local organizations serving our community such as Caritas, Integral Care, and Refugee Services. During this year’s Earth Day event, we ended up giving away 68 bikes to kids. Also, if you volunteer with Yellow Bike Project, you can even earn a bike of your own! Of course, not everybody who wants to ride has the time and energy to become a bike mechanic, so during our daytime retail hours, staff are hard at work refurbishing bikes for sale, receiving donations of bikes and parts, and keeping the doors open for regular business hours — kind of like a bicycle thrift store. When bikes are just too far gone, we pull the good parts for reuse and recycle the rest. Happily, some of those bikes and parts get intercepted on their way to the scrap yard for reuse in art projects, garden trellises, and zany experiments! There are forever more bikes to be fixed, and forever more potential cyclists who need a bike! The work is never-ending, and we can always use all the help we can get. We’re a community bike shop, and our community is a treasure. We meet people of all ages from all walks of life; people who just moved here yesterday, and people who have been in our neighborhood for generations, people who have never set foot outside Texas, and people who arrive here from all over the world. The stories we’ve heard, the interactions that never would have taken place anywhere else — it all happens because of bikes, but it also goes far beyond bikes. Get together! Making sustainable choices as an individual is great, but we have to work together in order to reach goals like Net-Zero. Look for opportunities in your community, join efforts that are underway, or organize groups of your own. We’ve got some big messes on our hands, and it’s going to take a lot of collective work to create truly sustainable solutions for our society. >> Yellow Bike Project is a completely volunteer-powered organization. If you’re interested in helping out, you can stop in during any open or volunteer shop and talk to a coordinator. If you have a particular skill or talent you’d like to offer, email them or visit one of their collective meetings. Check out more photos of the shop here.